The World Wildlife Foundation, says palm oil is used in 50% of all packaged supermarket products such as chocolates, snack foods, and soaps . Palm oil comes from the fruit of oil palm trees (Elaeis guineensis) which grow in many places including Borneo. The palm oil trees are grown on plantations. To make room for the plantations, miles of rainforest are burned leaving many animals without homes and emitting greenhouse gasses into the atmosphere. In Sumatra and Borneo, palm-oil expansion threatens elephants, tigers and rhinos, as well as orangutans. Enormous amounts of carbon dioxide are released as forests and peatlands are destroyed. Deforestation makes Indonesia one of the world’s largest carbon-dioxide emitters. More and more rainforest is being destroyed and soon there will be none left. There are palm oil plantations in Indonesia, Malaysia, Nigeria, and Columbia. 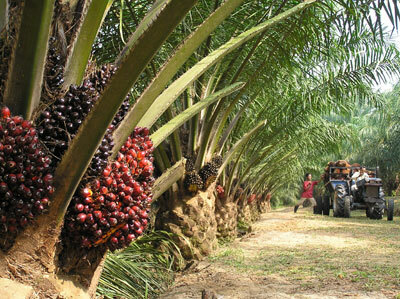 In 2008, Malaysia produced 17.7 million tonnes of palm oil on 4,500,000 hectares (17,000 sq mi) of land. Every year there are more palm oil plantations. Since 1995 the production has greatly increased from 10 tonnes to 35 tonnes in 2010. When I was born almost half of the rainforest had been cut down. 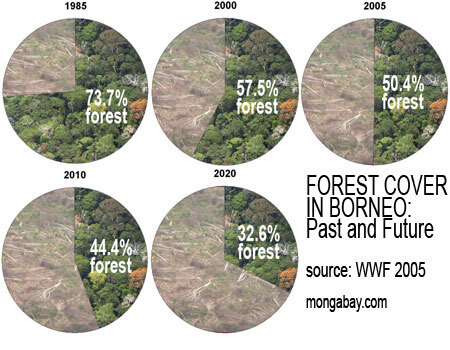 Now 12 years later, only 40% of the forest cover remains. Many animal’s homes are being destroyed because of the deforestation. Baby orangutans are left orphaned and homeless. Some are captured and kept as pets illegally. For the unfortunate baby orangutans this means a life in a cage and poor health. The effects of our current method of producing palm oil is devastating to the environment, but saying “no” to palm oil is *not* the solution. 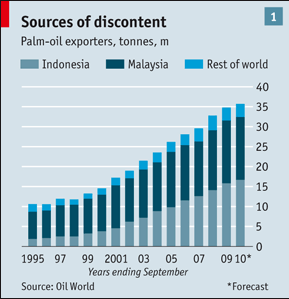 The economies of Indonesia and Malaysia depend on palm oil. We need to find a balance between the people, the world’s supply of palm oil, the forest and carbon stock, and the endangered species such as the orangutans. We need a sustainable solution: deforestation-free palm oil. Demand deforestation-free palm oil from your favorite snack companies to protect the rainforest and the orangutans. “The other oil spill”. The Economist. June 24, 2010. Retrieved August 2010. Malaysian Palm Oil Industry Performance 2008 Global Oils & Fats Business Magazine VOL.6 ISSUE 1 (Jan-March), 2009.